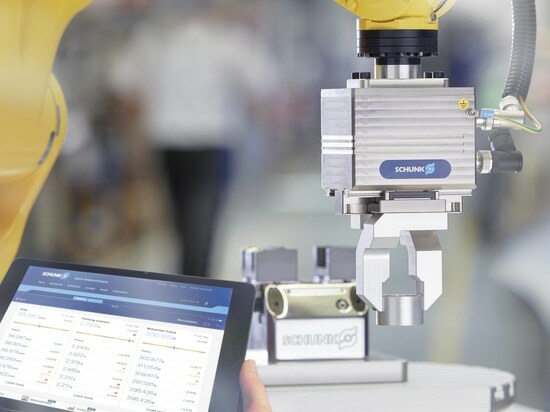 Just one year after the market launch, SCHUNK is systematically expanding its series of powerful KONTEC KSC-D double clamping vises. 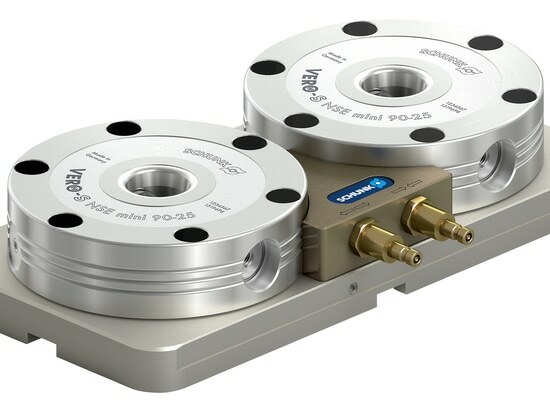 With immediate effect, the light and flat double clamping vises with the most in demand jaw width of 125 mm are available in seven body lengths: 320 mm, 390 mm, 460 mm, 530 mm, 600 mm, 670 mm, and 740 mm. In size 80, the length of 300 mm is standardized. 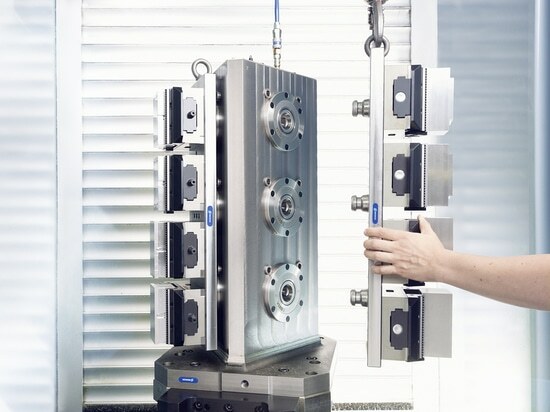 SCHUNK KONTEC KSC-D double clamping vises are especially designed for demanding continuous operation in automated machine tools with workpiece storage. 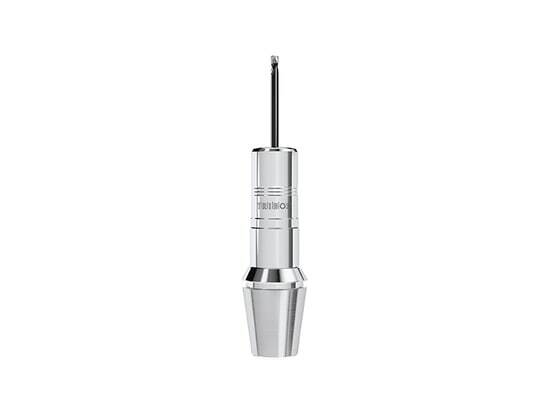 An induction hardened base body, long jaw guidance, fitted slides, case hardened chuck jaws, and a fully encapsulated drive ensure a high degree of precision, maximum wear resistance, and minimum cleaning effort. Completely nickel-plated, the vise is perfectly protected against corrosion for continuous use in pallet systems or on tombstones. 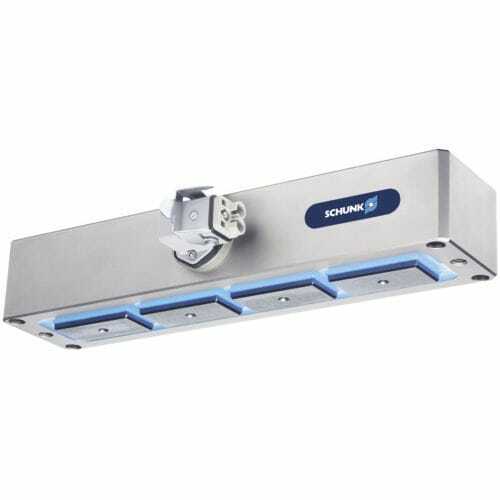 By means of a convenient third-hand function, two workpieces can be inserted next to each other, fixed, and then are clamped together safely. 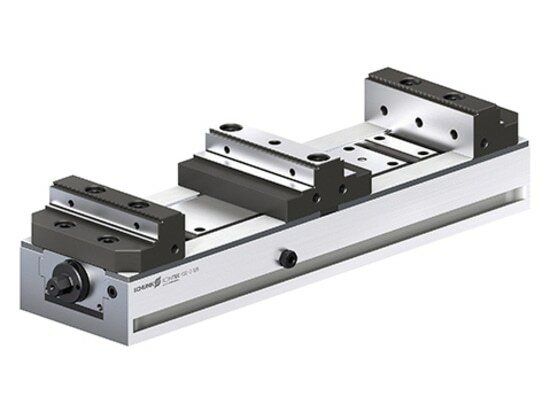 Due to the trapezoidal threads, high clamping forces can be achieved with little manual effort. 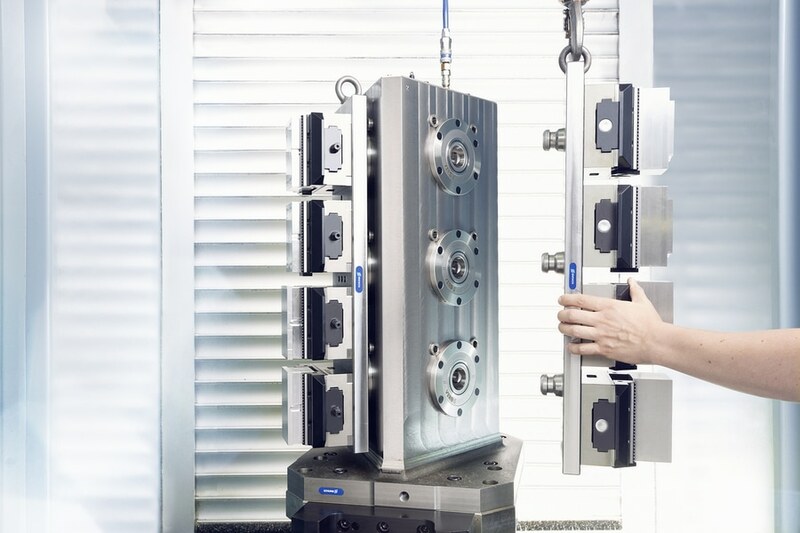 As a part of the SCHUNK modular system for highly efficient workpiece clamping, the clamping force blocks offer further advantages: The clamping pins of the quick-change pallet system SCHUNK VERO-S without adapter plate are directly connectable into the base body of the vise with screws. 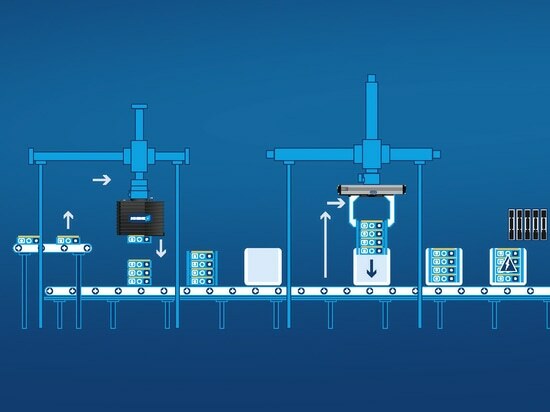 The clamping force blocks can also be fitted with a wide variety of chuck jaws from the SCHUNK standard chuck jaw program.